These Easy Jello Popsicles are a perfect summer treat! Slow melting and packed with flavor and made with only 4 ingredients; Jello, Kool-Aid, sugar and water! Homemade Popsicles are a fun frozen treat the family can enjoy all summer long! 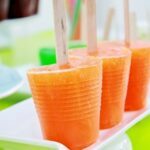 With this easy Popsicle recipe you can customize flavors to fit your families tastes! All you need is Jello, Kool Aid, sugar, and water! These slow melting frozen treats are a summer staple and perfect to make with kids! I have a 3 popsicle molds floating around my home. The thing is, I can almost never find them when I need them. We are big fans of the Dixie cup method when I cannot find my favorite mold. Pour your pops straight into a Dixie cup. Add a popsicle stick and freeze solid. *Note: Use a baking tray or large plate to keep all of your cups from falling in the freezer. Fill a container with hot water. You want at least enough to cover to the top of your mold without leaking over onto your pop. Dip your mold into the hot water for 20 seconds. Slide out your homemade Popsicle and enjoy! Like this recipe? You will love my Fruit Pops, Fudge Popsicles, and Strawberries and Cream Popsicles! The Jello added into the recipe makes these melt a little slower which is especially nice on hotter days. So the only question you really have left to ask is what flavor you are going to start with?! 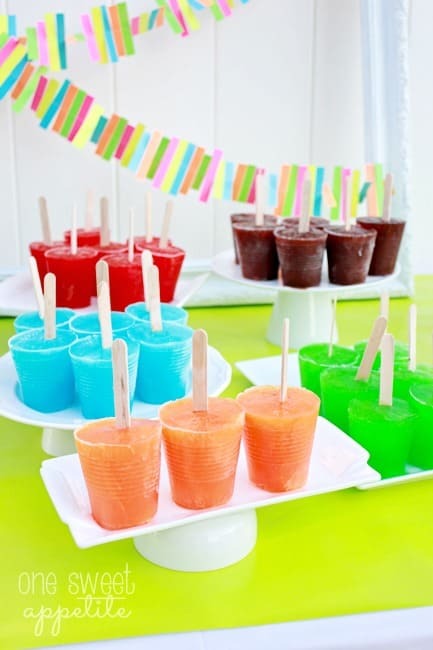 These Easy Jello Popsicles are a perfect summer treat! Slow melting and packed with flavor and made with only 4 ingredients; Jello, Kool Aid, sugar and water! Combine the Jell-O, Kool-Aid, sugar, and boiling water in a large pitcher. Stir until dissolved. Mix in the cold water and pour into your molds. Freeze for 4-6 hours or until solid. Oh my girls will love these because the just love being able to choose out of so many different colors! Thanks for sharing! Delicious and easy! My two faves! One of my favorite childhood treats – definitely those nasty white and pink frosted animal crackers with rainbow sprinkles. So gross, but I love them! HA! What are the chances?! 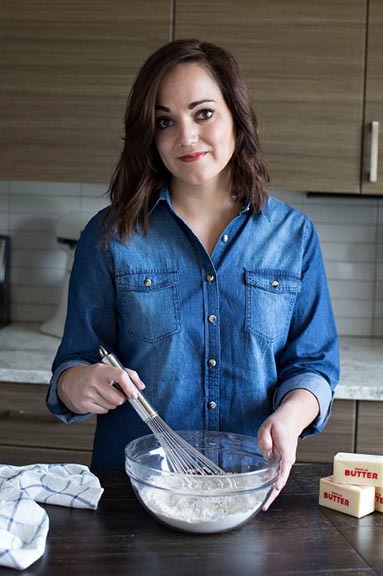 I’m looking for easy treats to make with the kids and I don’t usually look at people’s comments, but then BAM!…there’s your beautiful face! I’ll be pulling these bad boys out of the freezer for snack today. Love you, Kaylynn! Im at the store but cannot seem to find 13oz Jell-o boxes they only come in 3oz and 6oz. Am I missing something? Thank you for your help! You have kool-aid in ingredients but not in directions? See this is an old post but these would be great for kids having a tummy bug as a gentle way to rehydrate.